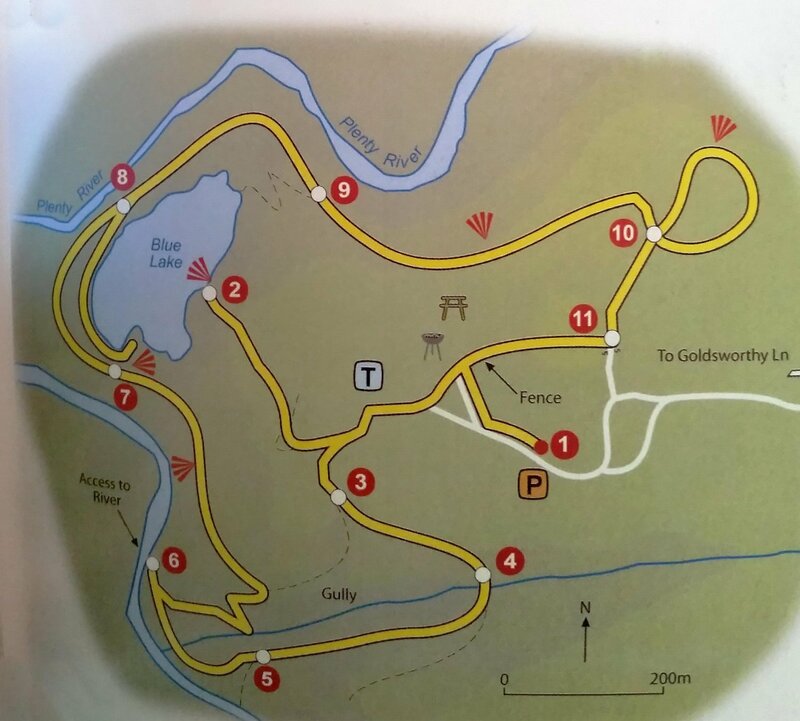 Walk map. Yellow Gum Park, Plenty. From Melbourne’s Best Bush, Bay & City Walks, by Julie Mundy. This walk is easy to do and it has a variety of scenery, many with water views. The “Blue Lake” was far from blue on our visit and maybe conditions have to be right for the blue to come out. It’s possible the green colour is due to a lack of rain which would normally replenish the lake with fresh water and a fresh colour. There is not much of the natural bush left, most of it has been overtaken by farmland grasses. Walking along the creek and around the lake is very nice, and the last part with views of the meandering Plenty River below are particularity pleasing.